This is a true Italian cooking experience from the countryside villa to the rows of olive trees. The class was held in the mornings in a cosy place 5 km from the Perugia city centre. Rafaella the teacher is a very warm, friendly lady and a talented cook. The quality of the food is amazing and the hints and tips that Raffaella provides during her cookery lessons are really useful. 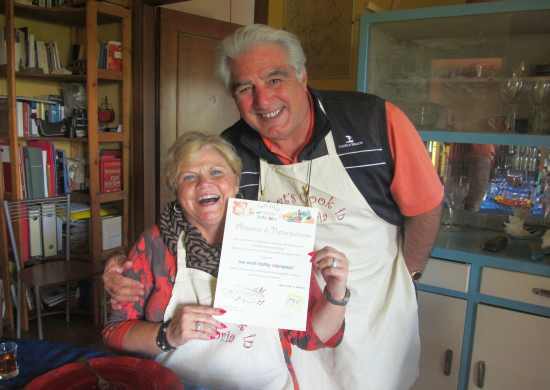 She also provides recipes to take home, your certificate of participation and the Let’s cook in Umbria apron. 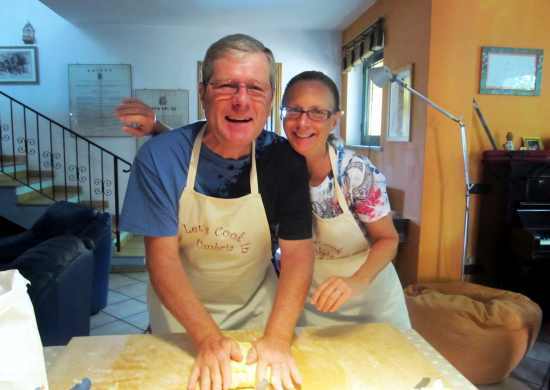 It was a great time spent together, learning how to cook, but more importantly learning about the Italian culture and customs…..what was cooked on which holiday, the importance of family, etc. In each class you realize a 4 course meal¸appetizer, fresh pasta, second course and dessert. very tasty authentic Umbrian dishes all made from scratch using all authentich recipes from the Raffaella’s family and the organic ingredients prduced in the farm. Receive a cooking diploma, recipes and apron. We will answer to your request by 24hours.